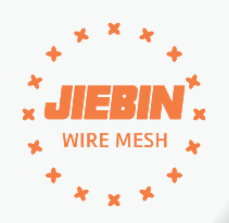 Product categories of Barbecue Wire Netting, we are specialized manufacturers from China, Barbecue Wire Netting, Bbq Grill Mesh suppliers/factory, wholesale high-quality products of Bbq Wire Mesh R & D and manufacturing, we have the perfect after-sales service and technical support. Look forward to your cooperation! Packaging: Plastic inside then carton box or according to your requirement. Materials for BBQ Grill Netting: Stainless Steel Wire, low carbon galvanized wire. Characteristic of BBQ Wire Netting: heat resisting, corrosion resisting, nonpoisonous, tasteless and convenient for handling. It has a fixed shape and can be used to roast flour food and meat. The shape can be round, square, curve and so on. Applications of Barbecue Grill Mesh: Mostly used in roasting of meat, fish and wheat flour food in the outdoors.